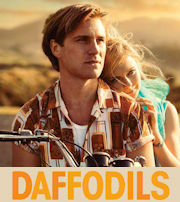 At its heart, Daffodils is the bittersweet love story of Rose (Rose McIver) and Eric (George Mason). Loosely based on her own parents' tale, writer Rochelle Bright weaves an intimate epic of memorable first meetings (a rainy night in the Hamilton Botanic Gardens), parental disapproval ("She made it clear I'm not the guy to bring home for Sunday lunch," is George's assessment of his inaugural encounter with Rose's mother), disastrous dates, difficult decision-making and family secrets that threaten to tear it all apart. 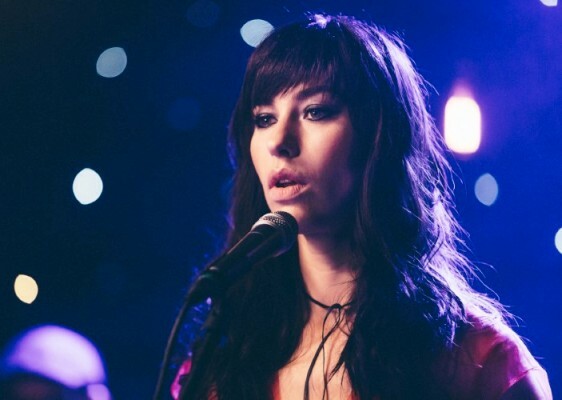 Our contemporary guide is Maisie (Kimbra), the couple's daughter, experiencing a dark night of the soul and deep reflection as she faces up to losing her connection to that richly storied past. As with the original theatrical experience, this Daffodils trades on the power of people's own connections to the likes of Bic Runga's Drive, Dave Dobbyn's Language and The Muttonbirds' Anchor Me. Yes, there are songs from earlier and later eras, but for those whose lives and loves first-blossomed a quarter-of-a-century ago it will be hard not to be swept away on a tide of emotions and memories. Bright, musical directors Steph Brown and Fen Ikner and director David Stubbs have done a fabulous job of reimagining a collection of Kiwi classics and allowing us to really listen to their lyrics in a new way. They reclaim The Swingers' Counting the Beat from jingle hell, turn Chris Knox's Not Given Lightly into a wedding anthem and even deliver a mash-up of Darcy Clay and Blam Blam Blam. Even more importantly though, they feel organically part of the story. While the singing-as-internal-monologue does take a little getting used to, it strikes the right tone – enhanced greatly by being mainly delivered with confidence by two charismatic leads in Home and Away's Mason and iZombie's McIver. Don't go expecting the bombast and aural assault of Rhapsody or Showman, but be prepared to have your heartstrings pulled and songs to get stuck in your head. This is a love letter to the Kiwi experience, our own equivalent to Once or Sunshine on Leith, and finally a crowdpleasing indigenous musical to sit alongside Don't Let it Get to You and Footrot Flats: A Dog's Tale.